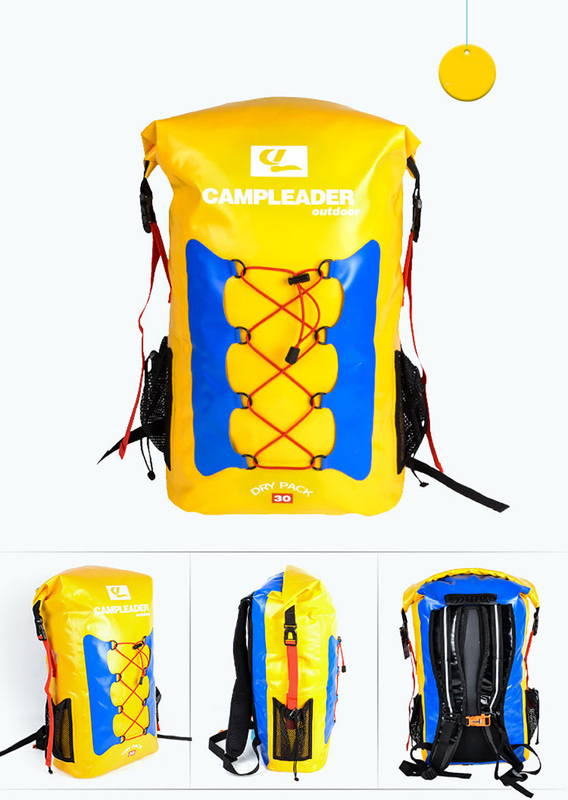 Level IPX6 Waterproof, high quality, brand new, best value. 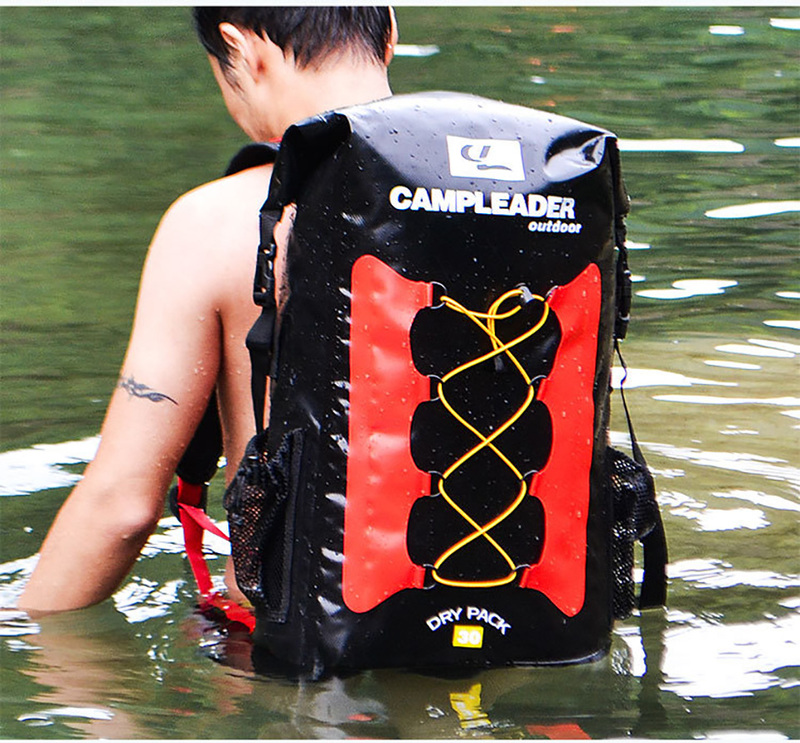 Never worry about your floating bag dropping it in water or water getting in. 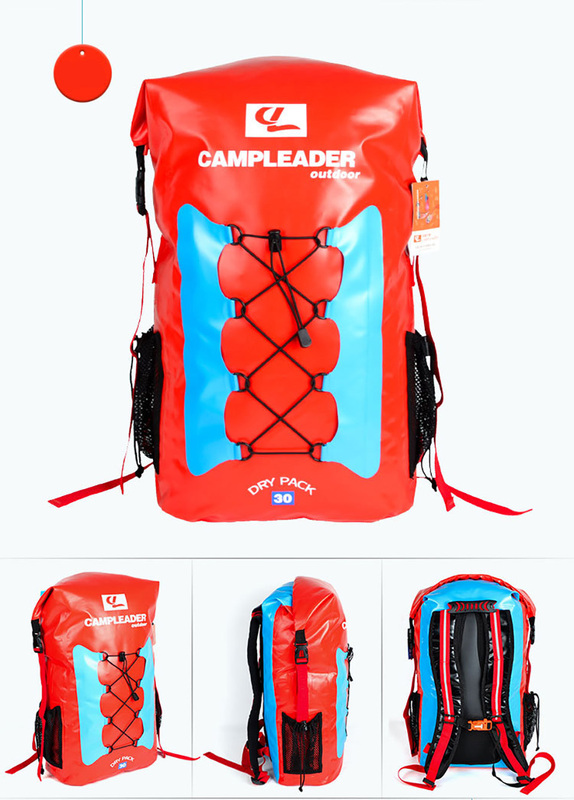 Unique water-tight overlap roll top provides the best-in-class waterproof performance.Good for any outdoor moments. 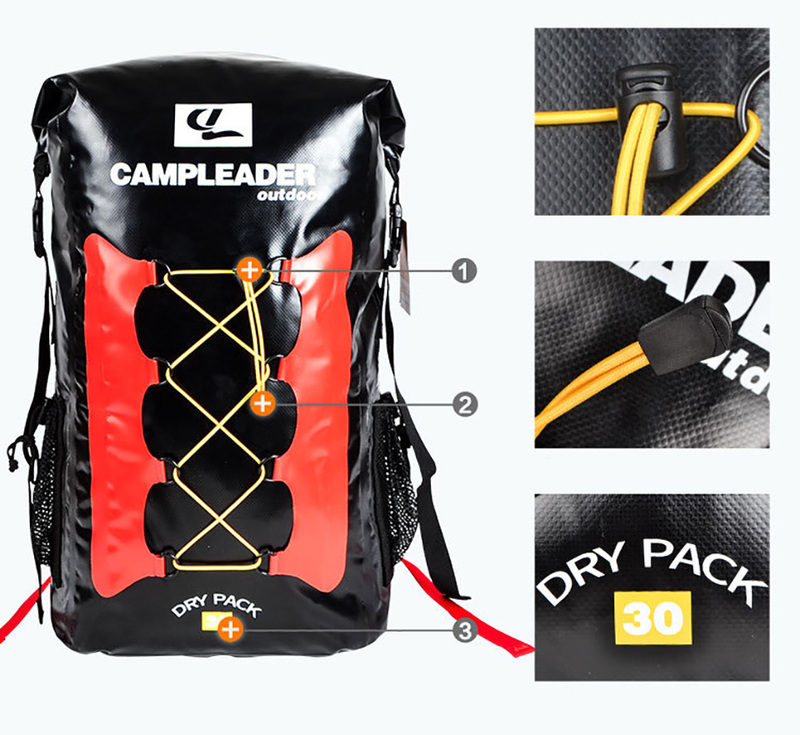 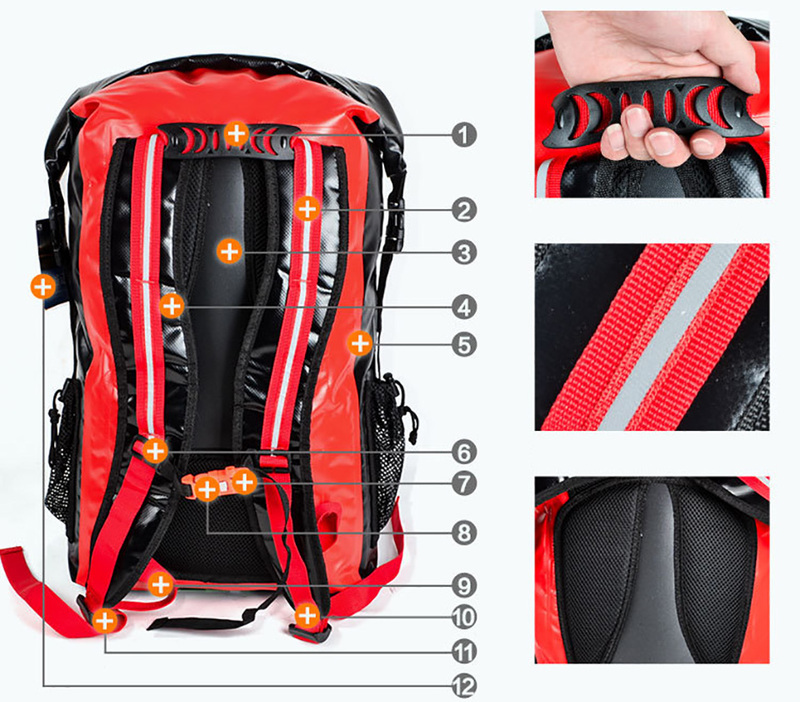 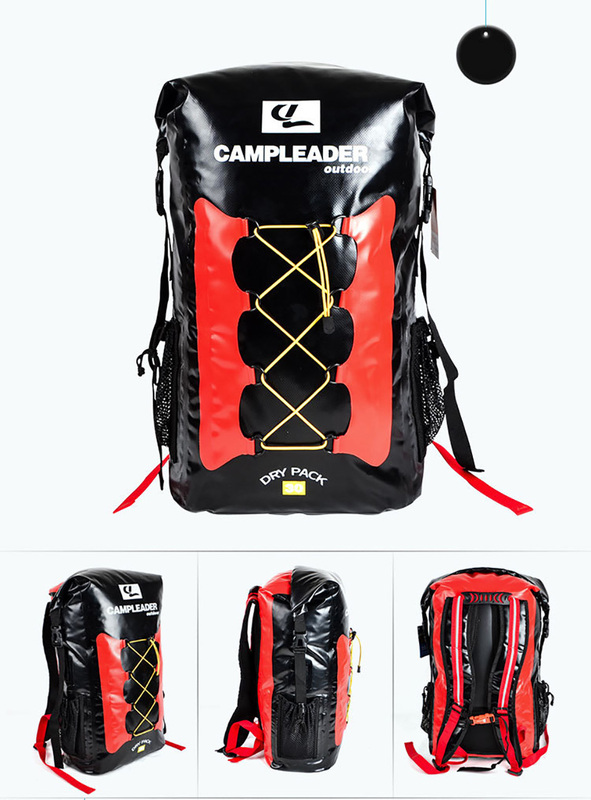 Adjustable shoulder straps, backpack type, very convenience, to free your hands, and for comfort when carrying heavier loads. 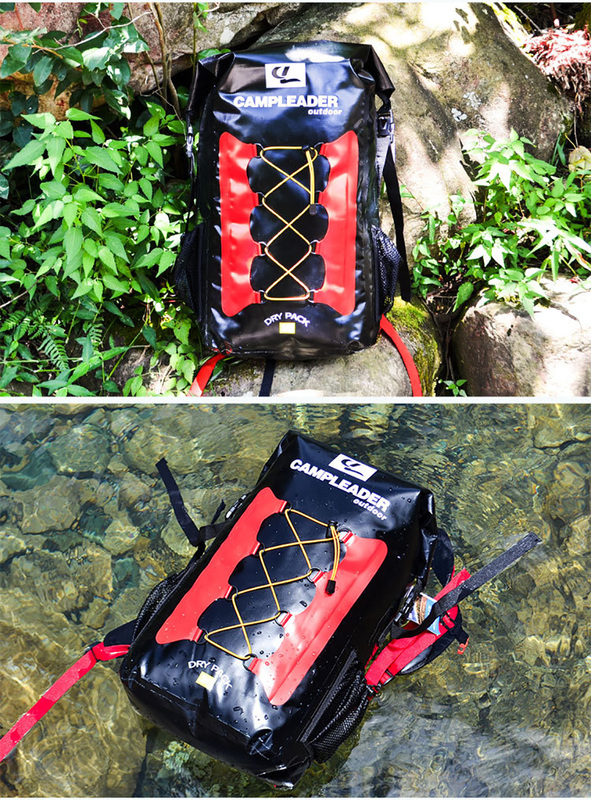 Buckle on top makes an easy to carry handle. 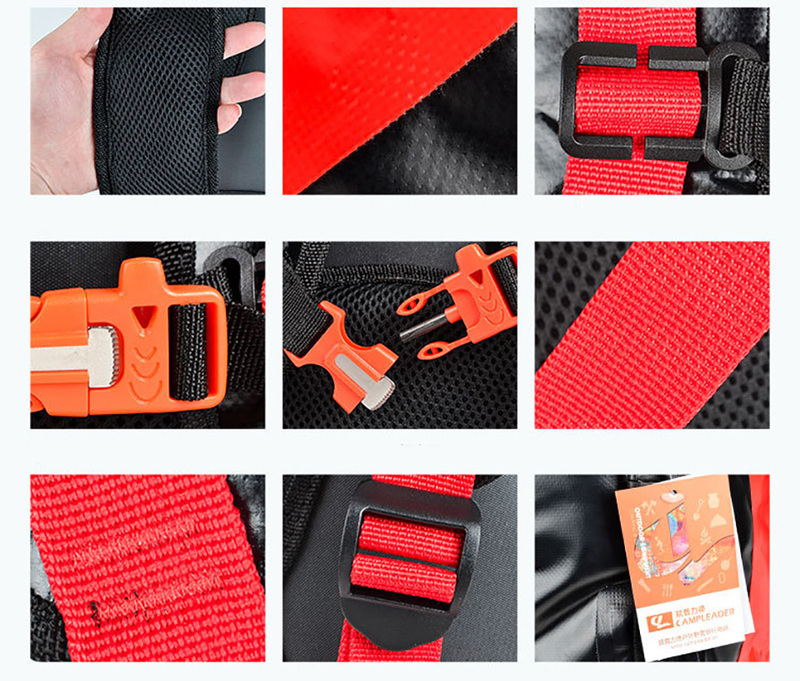 Fold 3 times around the stiffening blade and then lock the buckle. 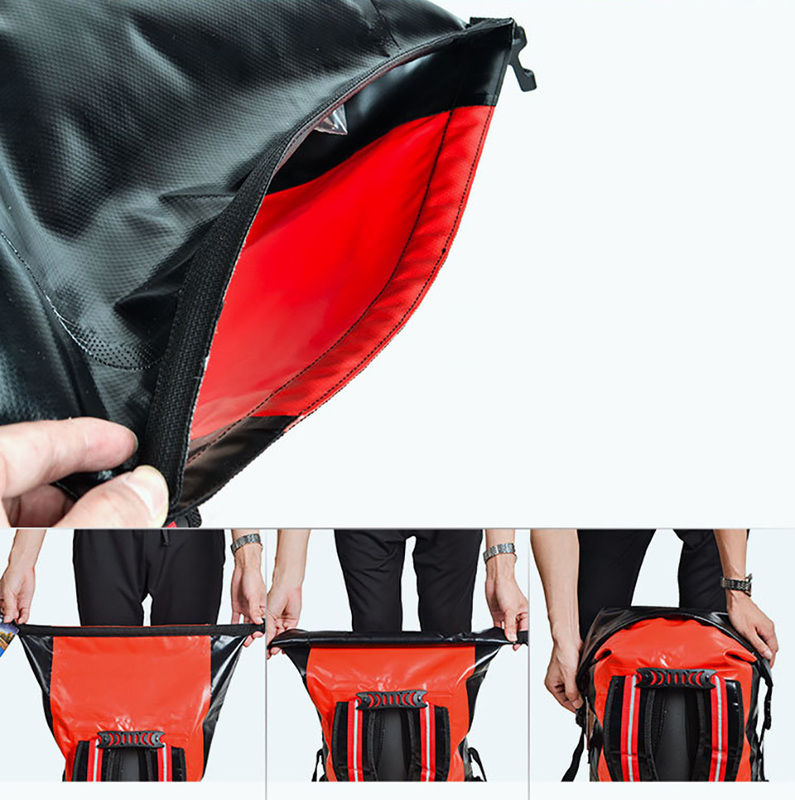 It can be rolled or folded for saving space when not in use. 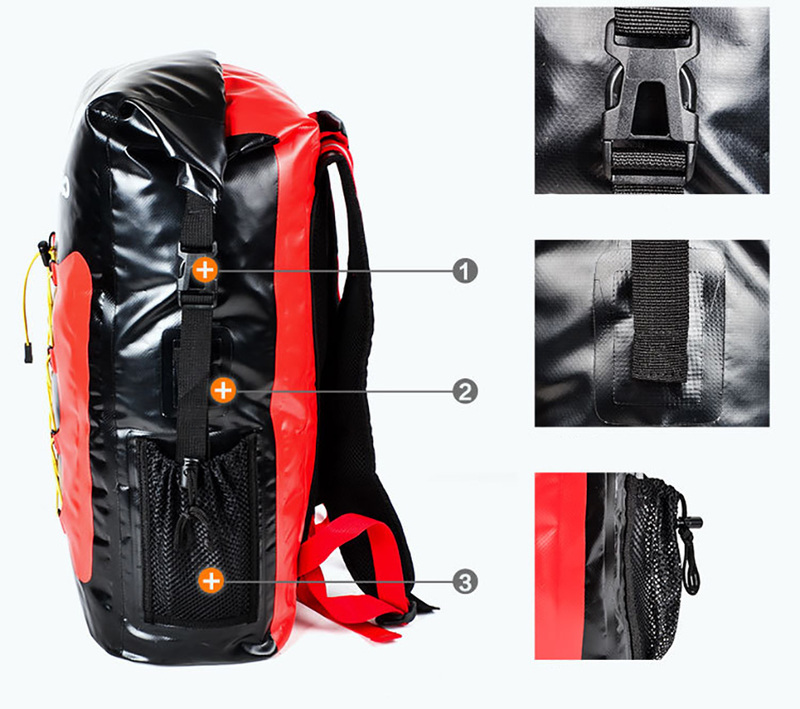 This waterproof barrel bag is ideal for river rafting, boating, sailing, swimming, and fishing, hiking, cycling,canoeing,kayaking,camping, etc. 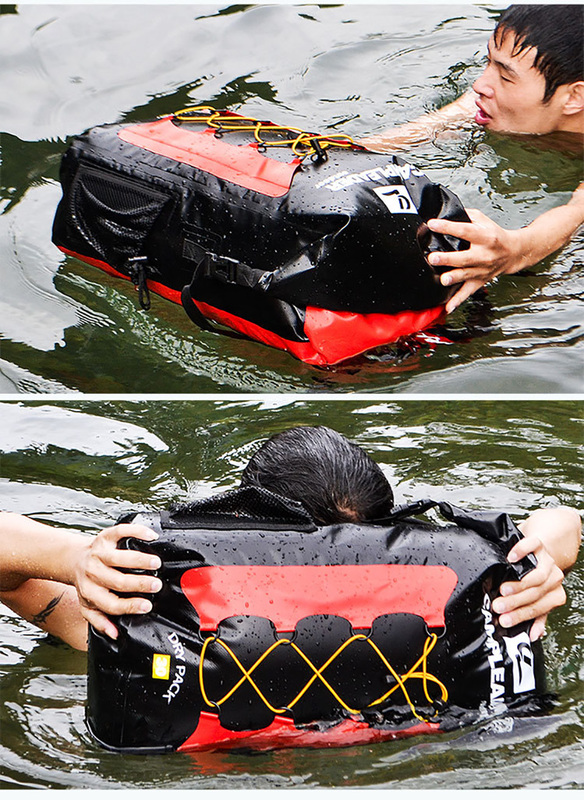 Works as storage bag or auxiliary floating life preserver. 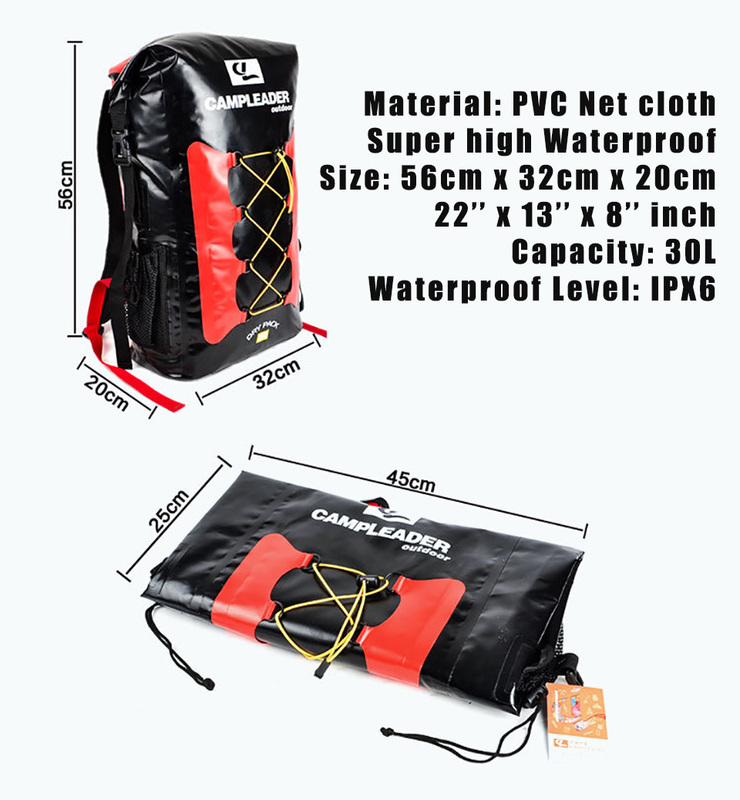 Material: Enviromental PVC net cloth.